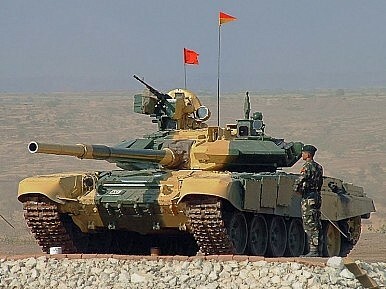 India’s army announces plans for a new strike corps aimed specifically at attacking targets in China. The news that the Indian Army is preparing to set up a new strike corps tasked with attacking targets in China in the event of a war between the two neighbours marks a bold escalation in India’s attempts to balance against China militarily and to assert control over its Himalayan possessions. China’s defeat of India in the 1962 border conflict left behind a conceptual legacy of one-way traffic in the disputed areas of the Himalayas, and a sense that India would henceforth be the party on the back foot. Indeed, this has often been the case on the ground, with Indian allegations about Chinese incursions across the Line of Actual Control (LoAC) never really drying up, but with India lacking the resources to do very much about them. Just this month, there were Indian media reports of Chinese military construction on India’s side of the line in Ladakh (known as Aksai Chin by the Chinese). The formation of the new strike corps has been under consideration for the last two years, but has only now been confirmed. It’s reported that it will focus on the eastern end of the contested border to bolster India’s defence of Arunachal Pradesh (what China calls Southern Tibet), as do the two new mountain divisions numbering 35,000 troops that the Indian Army has already raised. These are based in Nagaland and Assam, just south of the disputed province. However, the strike corps will consist of a further 40,000 troops, and its presence will significantly alter the Himalayan dynamic, with Indian forces in the region previously adopting a more defensive posture. Efforts are under way to improve Sino-Indian military diplomacy: bilateral talks resumed in June following a spat in 2010, joint counter-terrorism exercises have been held, and there are hopes of conducting an inaugural joint air exercise next year. However, there’s a risk that the military build-up that both sides have embarked upon could overshadow the dialogue. In addition to its new divisions, India is spending $2 billion upgrading its defensive infrastructure along the LoAC, and has deployed 36 Sukhoi Su-30MKI fighter aircraft near the border at Tezpur. For its part, China has significantly enhanced its infrastructure leading up to the border, notably in the form of an extensive rail network, as well as deploying road-mobile DF-21 medium-range ballistic missiles in the area. The question now is how China reacts to India’s determination to overcome its historic inability to strike back at China. Indian defence officials have long complained that their Chinese counterparts never used to take them seriously, but with the establishment of a large new army corps whose express purpose is to invade and assume control of areas of Chinese territory, they have surely now got Beijing’s attention. At the very least, Chinese forces can be expected to tread more carefully in future in a region that is rapidly becoming one of the world’s most heavily fortified, and potentially most dangerous, flashpoints. The Indian Army is undertaking its first strategic transformation in more than two decades. And it has its sights firmly on China.